MASCARA LIQUIDA VALLEJO, 85 ML. 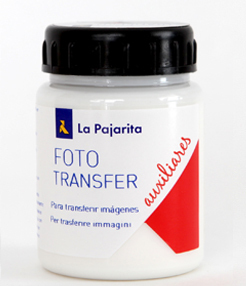 CERA LIQUIDA VALLEJO, 85 ML. 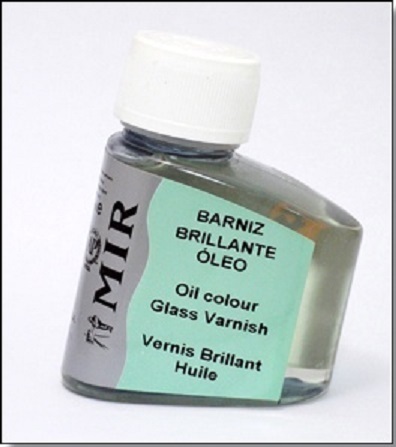 BARNIZ BRILLANTE OLEO MIR, 75 CC. BARNIZ BRILLANTE OLEO MIR, 125 CC. BARNIZ DE RETOQUE MIR, 75 CC. BARNIZ DE RETOQUE MIR, 125 CC. BARNIZ MATE OLEO MIR, 125 CC. 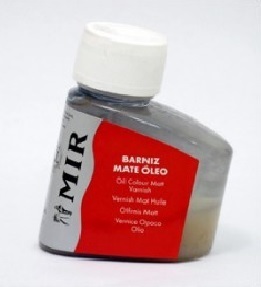 BARNIZ MATE OLEO MIR, 75 CC. 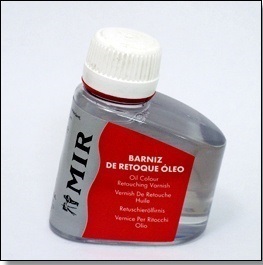 BARNIZ SPRAY BRILLO OLEO MIR, 250 ML. 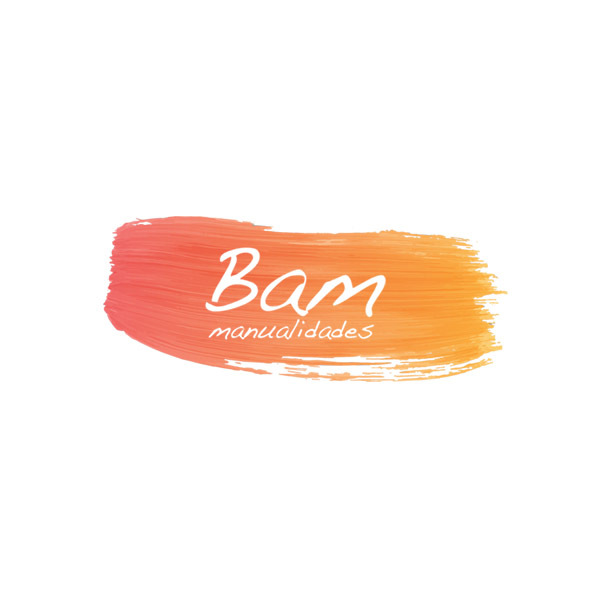 BARNIZ SPRAY CARBONCILLO MIR, 250 ML. 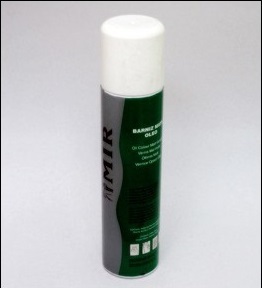 BARNIZX SPRAY MATE MIR, 250 ML. MEDIUM OLEO MIR, 75 CC. 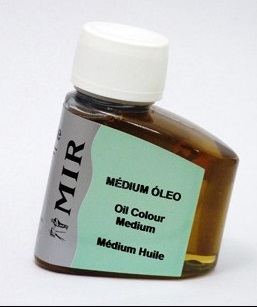 MEDIUM OLEO MIR, 125 CC. 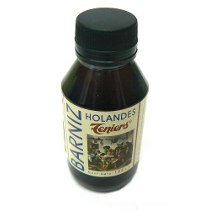 MEDIUM BARNIZ HOLANDES, 125 CC. 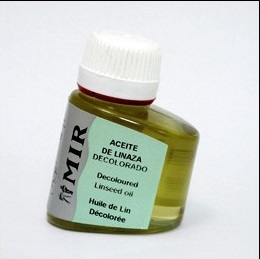 ACEITE DE LINAZA DECOLORADO MIR, 75 CC. 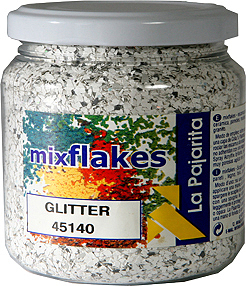 ACEITE DE LINAZA DECOLORADO MIR, 125 CC. 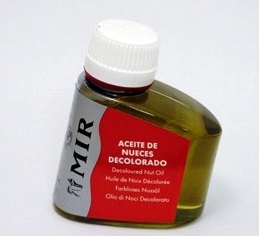 ACEITE DE NUECES DECOLORADO MIR, 75 CC. ACEITE DE NUECES DECOLORADO MIR, 125 CC. 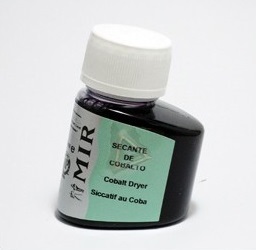 SECANTE DE COBALTO MIR, 75 CC. SECANTE DE COBALTO MIR, 125 CC. 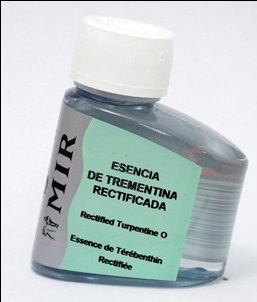 ESENCIA DE TREMENTINA MIR, 75 CC. ESENCIA DE TREMENTINA MIR, 125 CC.